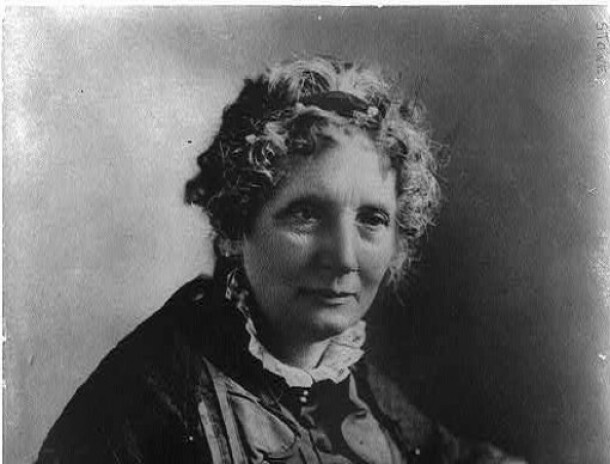 Best remembered as the author of the anti-slavery novel Uncle Tom’s Cabin, Harriet Beecher Stowe was born into a talented Litchfield family headed by noted preacher Lyman Beecher. After attending the Litchfield Female Academy, Stowe studied and later taught at the Hartford Female Seminary, headed by her sister Catherine. In 1832 the family moved to Ohio, where she began publishing her work and married biblical scholar Calvin Ellis Stowe. After struggles with poverty, poor health, domestic strife, and the death of a child, Stowe found financial security and international fame with the publication of Uncle Tom’s Cabin in the 1850s. After a long and varied writing career, she died in Hartford. “Harriet Beecher Stowe.” Connecticut Women’s Hall of Fame, 2016. Link. “Guide to the Beecher Family Papers.” Yale University, 2016. Link. Stowe, Charles Edward, and Lyman Beecher Stowe. 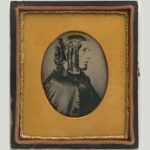 Harriet Beecher Stowe: The Story of Her Life. Boston; New York: Houghton Mifflin Company, 1911. Link. Boydston, Jeanne, Mary Kelley, and Anne Throne Margolis. The Limits of Sisterhood: The Beecher Sisters on Women’s Rights and Woman’s Sphere. Chapel Hill, NC: University of North Carolina Press, 1988. Foster, Charles H. The Rungless Ladder; Harriet Beecher Stowe and New England Puritanism. Durham, NC: Duke University Press, 1954. Stowe, Harriet Beecher. Uncle Tom’s Cabin, or Life Among the Lowly. Boston, MA: J. P. Jewett, 1852. Link. Ashton, Susanna. “‘A Genuine Article’: Harriet Beecher Stowe and John Andrew Jackson.” Common-Place 13, no. 4 (Summer 2013). Link.